Thank you to all of those who came out for our annual Christmas Party! 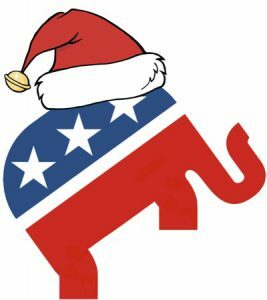 Join Republican leaders, elected officials and local Republicans for a festive evening as we celebrate the upcoming holidays! Wine, beverages and appetizers will be provided! Live music by Jonny Neri, popular Bay Area entertainer. Thank you to all of those who came out to the event! Join the Santa Clara County Republican Party for its annual fall reception! The Annual Trunk & Tusk Reception features the top Republican leaders from our county and state. This year, we are very excited to announce that our Featured Guest Speaker will be Retired Lt. Col. Robert “Buzz” Patterson. 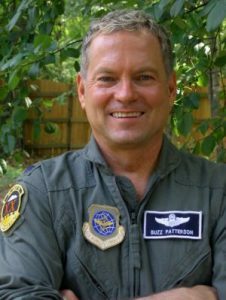 Lt Col. Buzz Patterson was Senior Military Aide to President Bill Clinton. Lt. Col. Patterson carried the Nuclear Code Football, which goes with the President everywhere he goes, and contains all the nuclear capability of the United States. Buzz Patterson was with President and Mrs. Clinton around the clock, and had a bedroom and an office in the White House. That experience inspired him to write his first book (best seller), Dereliction of Duty. He has written two other books, Reckless Disregard (best seller). and Conduct Unbecoming: How Barack Obama was trying to Destroy the Military and Endanger Our Security. Hear firsthand this decorated American Hero, and nuclear, military and political expert, recall his experience with the Clintons, then his expert opinion and experiences with the Obama years and the terrorism and tremendous damage he inflicted on our military. Buzz Patterson will summarize his involvement in the Trump campaign, his close relationships with the Trump team, and some of the bigger challenges we face security-wise. North Korea, Iran, ISIS and China. You may have seen Buzz Patterson on Hannity, Bill O’Reilly, Fox News, etc. Come and see him in person at this enlightening event in a unique setting. Seating is limited so buy your seats early. The Los Gatos Weekly-Times met recently, before Hurricane Harvey’s devastation in Texas, with three Trump supporters from Los Gatos, Monte Sereno and Saratoga to gauge their continued support for the president….